Sometimes the name says it all: vineyards, restaurant and farm. 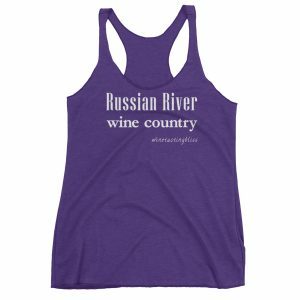 Located in the Russian River area, this remarkable winery is simply called Russian River Vineyards, Restaurant and Farm. 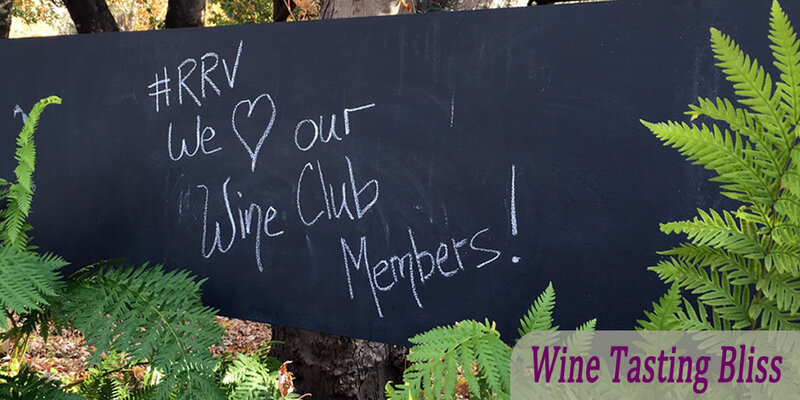 Our Taste Route 116 tour took us to RRV and all the elements came together beautifully! We had just completed a wonderful tasting at Graton Ridge Cellars and were ready for some lunch (and wine, of course). 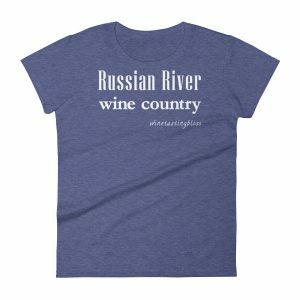 We had heard great things about the restaurant at Russian River Vineyards (I’m going to just say RRV from now on to avoid carpal tunnel syndrome) and were ready to experience it ourselves. As we parked, we saw beautifully manicured grounds and a series of buildings that look straight off the back lot of a movie studio depicting a winery. We entered the restaurant, finding white linen tablecloths and gleaming settings. We were disappointed to learn that the restaurant was fully booked, but encouraged that they were not yet out of wine! The tasting took place outdoors, under some shade trees. 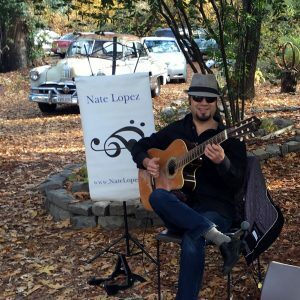 Adding to the ambiance was Nate Lopez, singing and playing his guitar. Really nice, with something of a Cat Stevens vibe. Serving as an interesting backdrop was a long line of vintage automobiles, arranged as though on a Sunday drive. Nate provided a nice extra level of enjoyment for the assembled group of happy tasters. The cars just sat there. We found some space at a tasting table, and met our wine guide, Howard. He started us off with a crisp 2014 Sauvignon Blanc and welcomed us to the winery. We learned that RRV operated the oldest vineyard in the county, which was now dry farmed. That term means that irrigation is not employed at all. The only source of water for the grape vines comes from rain and fog. Even in the current drought, the vines were thriving and producing good fruit. We next tasted their 2013 Chardonnay, with a nice oaky balance and some pineapple notes that danced on the tongue. Howard told us that the wine maker aged the wine on a combination of 30% new French oak and the balance on neutral French oak. That kept the butter level to a pleasant level. We moved on to their 2014 Gewurztraminer. Just add a hot summer day and a chaise beside the pool and this spicy, somewhat sweet wine with lush lavender notes is perfect! RRV paired this with a delicious mushroom soup, which highlighted the fruity notes of the Gewurztraminer. At this point we were on to the reds. First up was their 2013 Pinot Noir. We appreciated the tobacco and earth aromas, with pleasant cherry and blackberry notes on the tongue. The final taste was their 2012 Zinfandel. Fruit and jam, with nice spice and smoke on the finish, this was a favorite among our tasters. Before leaving we strolled back to the chicken coop and massive garden. 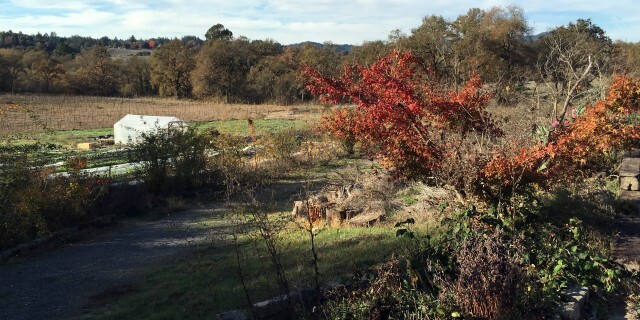 With the autumn leaves, both on the trees and the grape vines, the view was incredible. After soaking up the fall scene, we said goodbye to Howard and set off in search of lunch. Luckily, out Yelp skills are somewhat above average! Have you visited Russian River Vineyards? Click to give'em a tweet of support!